The government trustees charged with restoring the Gulf have released 10 new projects, including two that will protect bluefin tuna and sea turtles. This suite of new projects is the fourth phase of the Natural Resource Damage Assessment early restoration process, funded by a $1 billion “down payment” from BP to restore the damage caused by the oil disaster. We need your help. The trustees are calling for comments on the 10 proposed projects by July 6 – so, add your comment today! Diversity is the invisible undercurrent that powers our world. And the sea covers most of our planet. 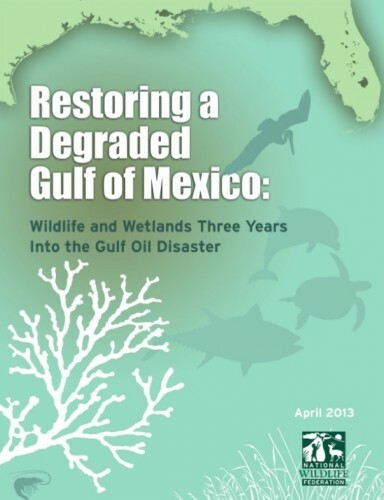 We need to protect and nurture natural life and marine victims of the Gulf Oil tragedy. Please, act on behalf of a people and a planet who need your help. I am writing in support of the pelagic longline bycatch reduction and sea turtle early restoration projects, proposed in phase IV of the Natural Resource Damage Assessment early restoration process. For too long, we have seen the list of impacts to deep water species grow, while the projects to restore those species never materialized. From dolphins dying in record numbers, to corals covered in oil and millions of gallons of oil sitting on the seafloor, a troubling story is unfolding offshore. It is past time to begin restoring our impacted deep water resources and habitats. Only by addressing restoration in an integrated and comprehensive way — from the coast to the deep water can our impacted habitats, wildlife and coastal communities fully recover. With these two projects, I am encouraged to see the trustees finally begin to restore the Gulf not just on the coast but beyond the shore, where the BP oil disaster began. These projects represent the comprehensive approach that we’ve been hoping to see in the five years since the disaster began. If we want to truly restore the Gulf, we must focus on both the coast and the deep water — our communities, culture and livelihoods depend on it. BP’s Oil Spill Is All Cleaned Up Now, Right? A post from the NY Times’ Green blog about the BP oil spill published on its anniversary in April shows that the associated problems have far from ended. Marine Biologists have issued a grim forecast for Gulf shrimpers and fishermen in the wake of the BP oil spill: the 2011 “Dead Zone” in the Gulf, they predict, will likely be the largest on record, choking some species of sea life and hindering others from properly migrating and developing. The implications of a super-size dead zone, estimated to grow as large as the size of Delaware and Maryland combined, could be huge . . . While the BP oil spill isn’t directly responsible for the Mississippi River dead zone, the 200-million-plus gallons of oil and the millions of gallons of toxic chemical dispersants that BP dumped into the Gulf have caused a dead zone of their own. Scientists have found several square miles of Gulf sea bed blanketed by oil untouched by hungry microbes. Pictures taken during submarine excursions to some of the oil-choked areas showed crabs, starfish, coral, tube worms, and other creatures smothered to death under thick blankets of oil. Highly toxic gases released from the well and noxious soot from the burning of oil on the surface have deepened the devastation. The effects of Corexit, the chemical dispersant used by BP to break the sludge into smaller particles, are still largely unknown and widely feared in the scientific community. We now know BOPs (blowout preventers) don’t always work, even when they’re used correctly. We know the oil companies still don’t have full response capabilities, even if they’ve given their top hat a new coat of paint. And we know that the recommendations of the bipartisan spill commission haven’t been put in place. Yet Republicans in Congress and the oil companies are still pushing for more drilling with less safety. This is the sort of willful ignorance and speed-over-safety mentality that led to the BP spill in the first place. Other chilling reports showing that the effects of the BP oil spill are far from gone, can be found by googling “bp continues working in the gulf”.